Dr. Helen Caldicott has passionately devoted the last 40 years to educating the global community about the inherent risks and dangers of nuclear energy and weapons and the critical changes needed to restore and help save our embattled Earth. 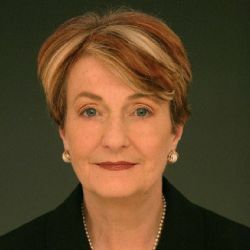 The Australian-born medical doctor (a pediatrician) and former Nobel Peace Prize nominee is the author of five books and the founder of several organizations including Physicians for Social Responsibility, Women's Action for New Directions (WAND) and The Helen Caldicott Foundation/NuclearFreePlanet.org. I recently had the opportunity to talk to the world renowned activist and environmental prophet at Green America's Green Festival in New York City, where she delivered an urgent and electrifying speech. Dr. Caldicott, who has been outspoken about the health and environmental dangers of nuclear power since before the Three Mile Island and Chernobyl meltdowns, prays that we will take heed from the recent Fukushima nuclear disaster, which resulted in the Japanese government shutting down all 54 of Japan's nuclear reactors, and spark a global trend to close nuclear power plants. Her frustration and anger at the lack of meaningful progress on this issue is palpable; as is her inspiring hope and belief in the collective power of individual citizens to raise their voices and create the political will to take action. What's at stake, as she reminds us in this candid interview, is our moral and spiritual imperative to protect our children and our Mother Earth. As she bluntly puts it, " The planet's in the intensive care unit, critically, acutely ill, and now we are all physicians to a dying planet." She urges, "Let the data sink in and then get off your couches to save the planet for your children." Marianne Schnall: What is the one message you are most hoping to get out there? Helen Caldicott: There isn't one message, there are three. One is that we are in dire danger from global warming and that unless we pull our socks up and stop burning coal and stop driving our SUV's around doing five miles to the gallon and stop fracking and natural gas, we're doomed. The temperature is on the way to be three degrees centigrade hotter by the middle of the century, which is almost antithetical to human existence, and six degrees by the end of the century - this is the top leading scientific data now that is available. I mean, we're killing the earth! Overtly. And we don't love our children enough, because if we did, we would be taking the necessary steps to stop burning coal and saving energy, you know? When you think, that the Japanese had 54 reactors and now they've got none, they're all closed down, I think except one, I'm not sure. I think the last one is being closed. They're not dying - well of course, they will be dying soon of cancer and leukemia from the accident, but they're surviving alright without... I mean, what about sweating in the summer, hmm? That's what you've got sweat glands for, to cool your body down. I mean, we're so spoiled. We live at the same temperature like a Jello, the whole year. So you come to New York in the summer, it's hot and you go into a theater - it's like being in a refrigerator! Or in the winter, the buildings are so hot you'd have to take your clothes off. Well, what about putting on a lot of clothes in the winter - I mean, there are so many ways to go. And I do believe Americans desperately want to do the right thing, they're really good people, but they're just really not informed about what is happening. So inform yourselves. Read all my books. Question. Let the data sink in and then get off your couches to save the planet for your children. I mean, why immunize children and why care about what they eat, if, in fact, they don't have a future! It really amazes me. Number two: you close down your two Indian Point reactors, because if one of them blows, man - you're all gone. Three: work with Obama to work with Russia to abolish 97% of the weapons on the planet, between Russia and America. You can do that. The Russians are ready. What's holding it up is your generals, who are really pathological in the Pentagon and one of them said, 'If you get rid of our nuclear weapons, man, that's threatening the family jewels,' and that says it all, in a nutshell, so to speak, and that's a bad pun. Marianne Schnall: When you look at the human species right now and the evolution of our consciousness, what do you think is at the root of our inability to act on any of this? HC: You know, we did stop slavery and women got the vote and we've done all sorts of wonderful things, we are capable of growth, but we're still kind of tribal. After 9/11, this country turned into a tribe seeking vengeance. And I was in Eau Claire, Wisconsin the morning it happened, I had just flown in from Australia. It was a very Christian campus. So I got out the Bible and I looked at Luke, not that I'm a Christian. I'm a Pantheist. And Jesus said, love thine enemies, do good to those who hate you - and I hoped that America would not seek vengeance, the most powerful, destructive country on Earth. Well, I caught the Greyhound bus three days later and the country was swathed in flags and outside every mom and pop store it said 'God Bless America' and I thought, oh God. So "W" went into Iraq and killed a million people, half of whom were children, using uranium weapons and there's a very high incidence of severe congenital anomalies now, where those weapons were used in Basra and Fallujah, such that babies are being born with no brains, no arms, single eyes and so severe is it that the doctors have told the women to stop having babies. You were conducting a nuclear war there because some people went into the World Trade towers. Why didn't you stop and think, now why did they go into the World Trade Center? What have you done to alarm people so much that they would be, in their craziness, willing to do that, or fly into your Indian Point reactors? So America needs to grow up. And especially you need to grow up because you are the most militarily powerful country on earth and people really are kind in America and they really, desperately want to do the right thing, but without being educated, through the media, they don't know what it is. And the media, therefore, is determining the fate of the earth. As Marshall McLuhan said, "The media is the message." HC: No, I'm not optimistic about the media, at all. MS: About the situation generally? HC: I am. I mean, I've got the cure to global warming, which is a study that I commissioned called Carbon-Free and Nuclear-Free. Download it at www.ieer.org. You've got enough renewable energy right now, right now - integrated forms supply all the energy you need, right now - well, by 2030 - but get going and you'll employ millions of people and it will be terribly exciting. And lead the world towards a carbon-free nuclear-free future. We can abolish nuclear weapons. Obama wants to. He said in his speech in Prague, "I need your help" - and no one stepped up to the plate to support him. So he's on his own, fighting those crazy generals in the Pentagon who see the missiles as a surrogate for their erectile disability. That's why I called my book, years ago, Missile Envy. I mean, that's how they talk! They do. The other thing is you can close down all the reactors if you rise up off your couches and you do what the people in Wisconsin did - take over your Congress. It belongs to you. Occupy it. It is yours. You are the leaders and those Representatives are your representatives. The President is not your leader. You're his leaders. And if you leave a vacuum there by not going in and making sure your representatives do what you want, the corporations step in and fill the vacuum and then you've got a corporate plutocracy and they're all corporate prostitutes, except maybe Bernie Sanders. So, you know, it's kind of your fault that it's happening, kind of your fault. And I think the Occupy movement has great potential. I think what happened in Wisconsin was so exciting. And when I went to Zuccotti Park in November or whenever, it was such a feeling of hope! For the first time in 20 years. You've got to rise up! You've got to take control of your country. You've got to get rid of those blasted corporations, who are evil! They're evil. They're killing the earth! And they know. I once spoke to a man who was building cruise missiles and I said, 'What about your children?' And he looked at me with eyes like dead stones and he said, 'I'm making money.' I said, 'Yeah, but what about your children?' And he repeated it. But when those men are on their death bed, they recant and they tell me what they've done. But it's too late, because they're about to die. Because they know, inside, what the truth is. MS: Last question. What is your wish for the children of the future? HC: That we have the courage to save their lives! I'm a pediatrician. I took the Hippocratic Oath. The planet's in the intensive care unit, critically, acutely ill, and now we are all physicians to a dying planet. And if we don't have the commitment and dedication that we have when we've got a patient in the ICU, and we stay up all night with them. We don't even think about ourselves. We're so tired out, we can hardly walk. We feel nauseated with tiredness. But that commitment is appropriate now and it's the only thing that's going to save the earth.